Please contact boat owner Robert at 845-987-6970. Beautiful, well maintained center console. T Top, fish finder. 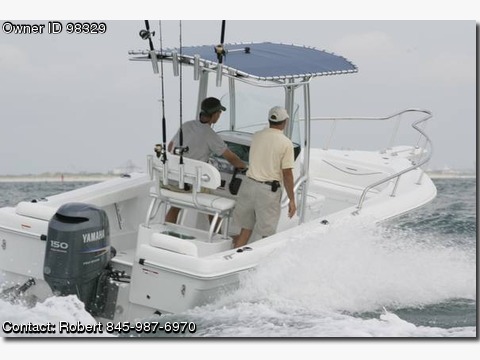 200 hp Saltwater Merc EFI. If you are not familiar with Triumph boats, &quot;The Worlds Toughest Boat&quot;, check out their website at httpwww.triumphboats.com. Older unregistered twin axle trailer included, but it does the job.